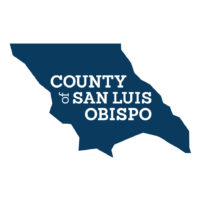 On Nov. 16, the San Luis Obispo County Employees’ Association (SLOCEA) notified the county it plans to strike unless the county meets its demands. SLOCEA represents approximately 1,775 of the county’s 2,800 employees. SLOCEA is demanding the county renegotiate terms that were already imposed for Fiscal Year 2018-2019, county officials say. The threat of the strike comes after months of negotiations between the county and SLOCE representatives resulted in an impasse and after SLOCEA representatives tentatively reached a two-year deal that included pay increases, but union members rejected it. County officials say, if a strike does occur, essential public safety and health services will still be provided. Employees who perform services that, if halted, would cause a substantial or imminent risk to public health and safety are prohibited from participating in a strike, a county news release states. “Should SLOCEA proceed with a strike, employees will be treated fairly as we look ahead to working together to restore labor peace,” Horton said. There is a whole caravan of new workers coming into this Country, surely many into this County, all hopefully looking for work. New recruits for those not happy with their jobs, posts, healthcare, vacation time, sick leave and pension. We don’t need your overpriced paycheck and your demands as privileged workers when it is you who work for us, not us for you, now get back to work and be thankful! This threat by SLO County employees to strike signals an elevation of their desire to increase their compensation, and I think we all know that there is no more money to give them, however committed to their jobs they may be. The real cost of their employment includes their world-class pensions and taxpayers cannot afford to give them any more money. Additionally, it would be prudent for the SLO County Board of Supervisors to push county administrative staff to take a 10% pay cut, and this money should go to the rank-and-file if it is needed to maintain their health care benefit package. SLO County (and SLO City) employees are some of the most highly compensated government employees in California, and their is no rational basis for their request for increased pay. Government employees receive great pensions, they do not also deserve outlandish pay. Let them strike. There are plenty of people who would gladly fill the positions to earn the pay and get the benefits these employees currently receive. If they went on strike – could they be fired and replaced with new, probably less expensive or non-union workers? And how is it they’re complaining – are these terms that they agreed to and currently under contract? So what if we already have 100’s of million in unfunded pension liabilities, several more million is not a big deal. Hey county employees, how about trying the nearest “Help Wanted” section. Talk about out of touch….the state is going broke these folks should be thankful to have a job! and healthcare and a pension…wake up! As much as I complain about the expense of governance, I believe that the rank and file workers need to be justly compensated for their work performed. Unfortunately the County is under the governance of the State purse, Federal purse and regulatory compliance thus we spend too much on paperwork instead of maintaining our infrastructure. This regulatory atmosphere is used to justify many overhead expenses like travel to the appropriate meetings, workshops and simply the search for new revenue streams to prop up the “self help” buzz term, yet we still send the old and new money up stream. I say pay those who pave our roads and take the money from those who move here for the social programs. Retire a few chiefs, and spend that new money of the road warriors. Travel should be limited to vacation time for personal enrichment and personal choices, most, in the real management world get their training and conduct meetings on webinars. This needs to happen all level of governance and quit funding the “travel clubs”. Well stated – but your premise that a few chiefs should be retired and use the money to pay those who REALLY do the work is pie-in-the-sky. It will never, ever happen as long as those in power – stay in power. And as much as I (and many others) rightly complain about the outlandish expense od county government – the most likely result (very high odds) is that we, the taxpayers, will be required to yet again fork over more of our hard-earned money.